If you have never been to Sierra Nevada College Summer Workshops Jane can assure you that it is a fun and creative place with great opportunities for learning something new and making new contacts as well as creating some art of your own. This will be the 3rd summer that Jane has taught at Sierra Nevada. You couldn’t find a more beautiful and inspiring place for an art workshop, especially one centered on eco-art. 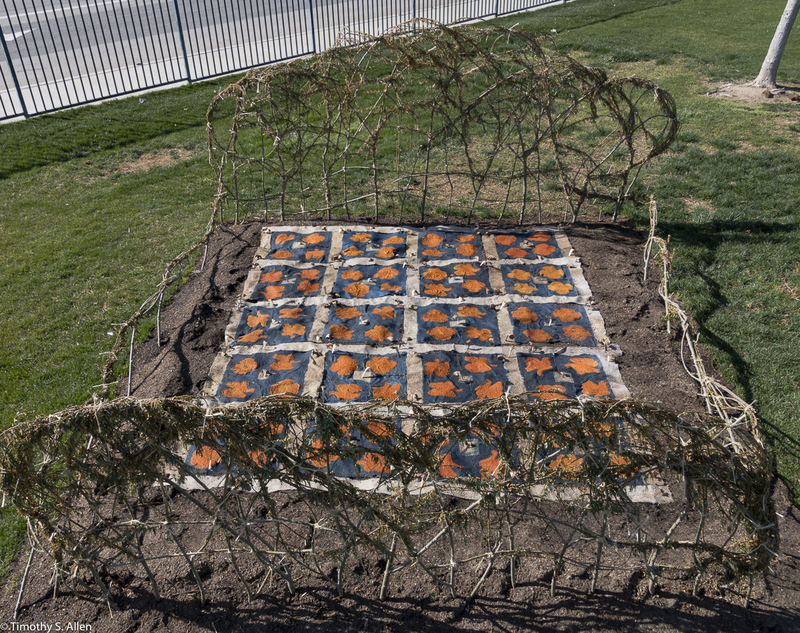 Jane just completed an eco-art outdoor public art installation in Lancaster, CA, with support from WEAD and working with the Lancaster Museum of Art and History. 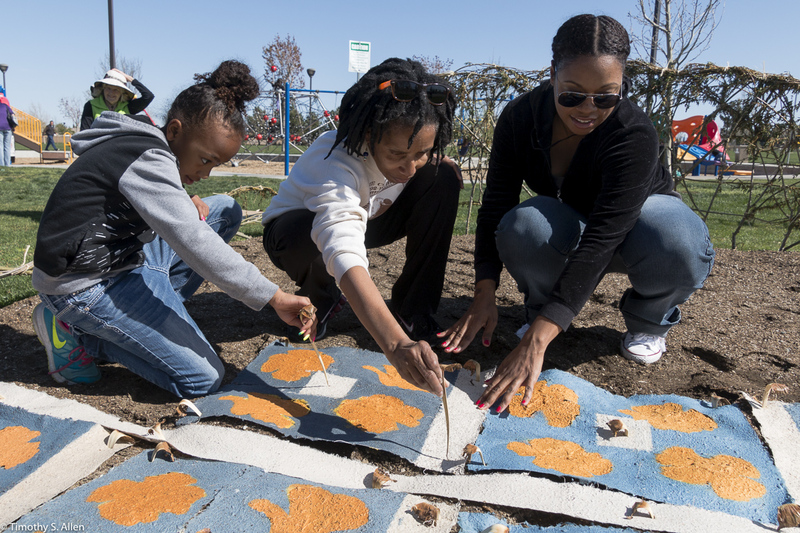 Here are some photos of Jane’s Lancaster Eco-Quilt when it was installed on March 12 at Hull Park in Lancaster. 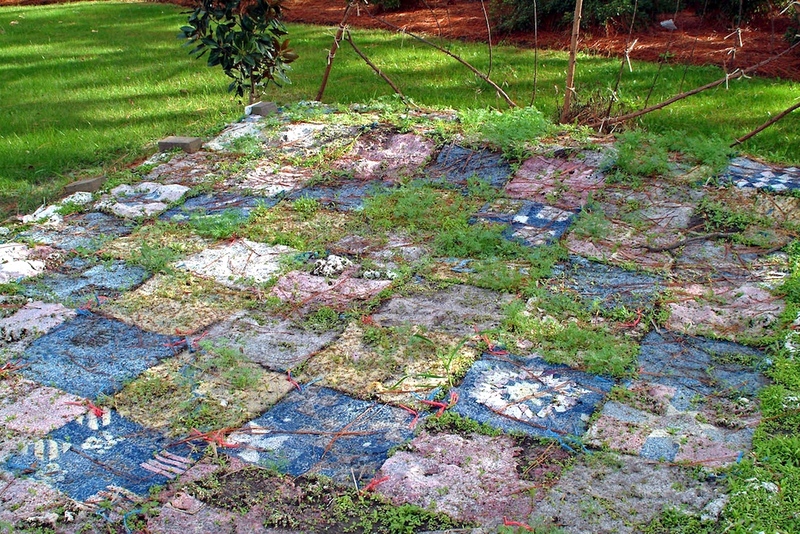 Keep checking this Blog for updated photos as the handmade paper quilt dissolves into compost and the wildflower seeds in the pulp sprout and how into a blooming bed of California golden poppies and California Blue Bells with white borders of Baby’s Breath and white poppies. Jane will go to Taiwan for two environmental art projects April – June and will return to CA for the summer workshop at Lake Tahoe, July 25-29. She is ooking forward to a wonderful time at Sierra Nevada College Summer Workshops with a great group of congenial and creative artists. A big thank you to the staff of the National Museum of Marine Science & Technology and to the Keelung City Bureau of Cultural Affairs. The artists all did a great job creating their works during the 25 day residency in Keelung, and the works will remain on view around the Musuem’s grounds all summer. It will be great fun to make paper at beautiful Lake Tahoe and use seeds in the paper pulp to grow flowers, feed the birds or otherwise transform over time. We will learn how to make paper from local plant materials and other purchased pulps using Asian and Western papermaking techniques as well as creating an outdoor collaborative sculpture installation on the shores of Lake Tahoe. Here are some photos of my installation “Lancaster Eco-Quilt” using seeds in a handmade paper quilt that I created as an artist in residence in March 2016 at the Lancaster Museum of Art & History, Lancaster, CA. At the Sierra Nevada College workshops students can explore and create together in a supportive and fun atmosphere in a beautiful place. 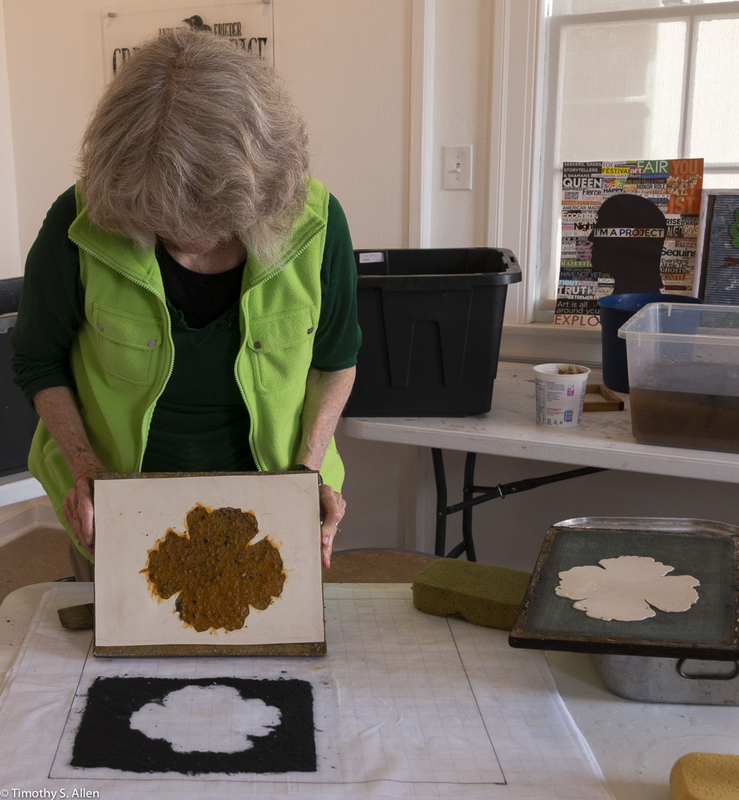 Hope you can join this workshop titled “Papermaking – Seed the Future”.